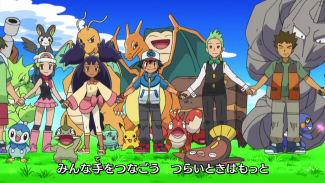 "Let's Join Hands" (手をつなごう) is the sixth ending theme to Pocket Monsters Best Wishes. Used in episodes BW 123 - BW ?? ?